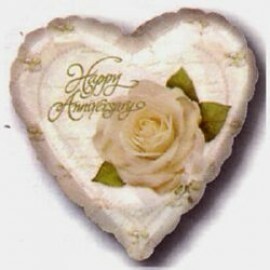 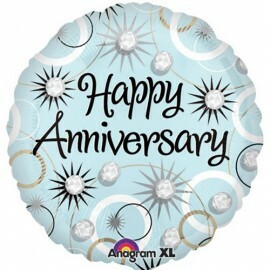 22cm Anniversary Petals & Pearls (Flat) Foil Balloon (Requires air inflation, heat sealing and balloon cup & stick) Each..
22cm Happy Anniversary Damask (Flat) Foil Balloon (Requires air inflation, heat sealing and balloon cup & stick) Each..
22cm Happy Anniversary Damask (Inflated) Foil Balloon (Supplied airfilled on balloon cup & stick) Each..
22cm Happy Anniversary! 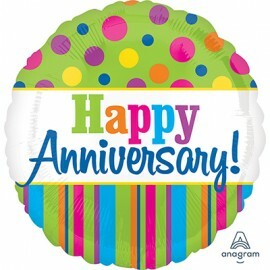 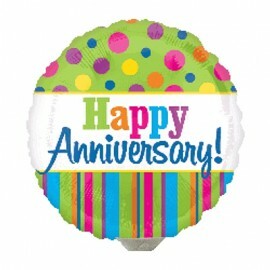 Bright Stripes & Dots (Flat) Foil Balloon (Requires Air Inflation, Heat Sealing and Balloon Cup & Stick) Each..
22cm Happy Anniversary! 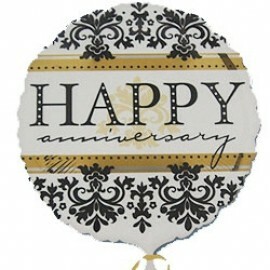 Bright Stripes&Dots (Inflated) Foil Balloon (Supplied Air Filled on Balloon Cup & Stick) Each..
45cm 50th Anniversary Gold & Silver Filigree Foil Balloon (Self Sealing Balloon, Requires Helium Inflation) Each..
45cm Happy Anniversary Bright Dots & Stripes Foil Balloon (Self Sealing Balloon, Requires Helium Inflation) Each..
45cm Happy Anniversary Damask Foil Balloon (Self sealing balloon, Requires helium inflation) Each..
45cm Happy Anniversary Diamonds Foil Balloon (Self sealing balloon, requires helium inflation) Each.. 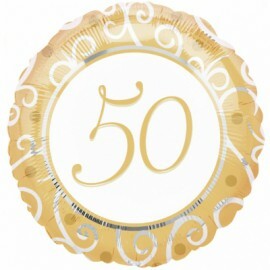 Shape 25th Anniversary Silver Elegant Bell 56cm x 69cm Foil Balloon (Self sealing balloon, requires helium inflation) Each.. 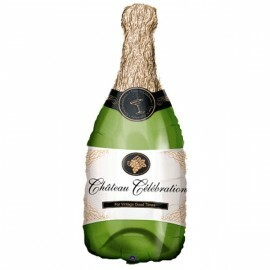 Shape Champagne Bottle Foil Balloon (35cm x 91cm) (Self sealing balloon, Requires helium inflation) Each.. 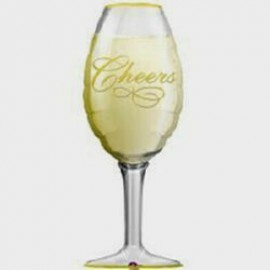 Shape Champagne Glass Cheers Foil Balloon (35cm x 97cm) (Self sealing balloon, Requires helium inflation) Each.. 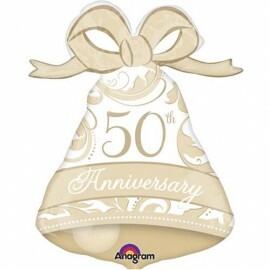 Shape Gold Elegant 50th Anniversary Bell 56cm x 69cmFoil Balloon (Self sealing balloon, requires helium inflation) Each..